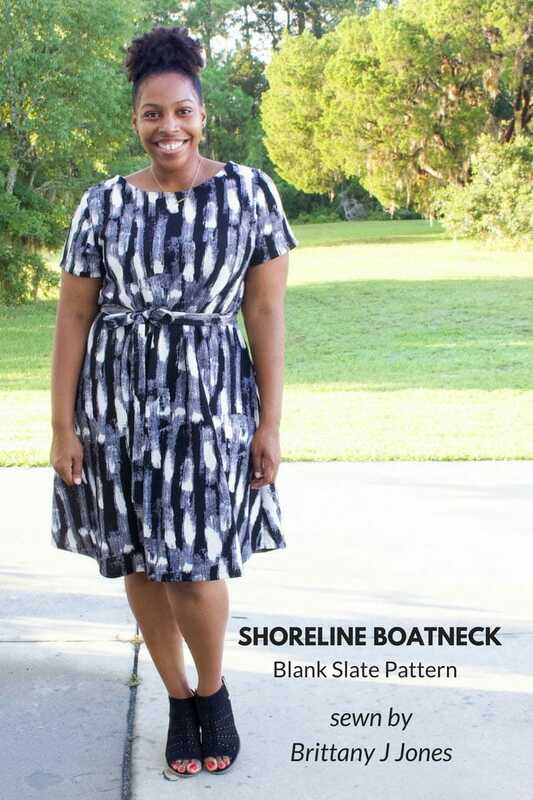 Hey everybody – Brittany here from www.brittanyjjones.com and I’m sharing another Shoreline Boatneck (aff link) make. Clearly I like this pattern a lot! My first make of this pattern was for a top. I loved the outcome of it especially with the pearl embellishment I did to it. So I decided to try it out again but this time using the dress view. You guessed it……I love this one too!! 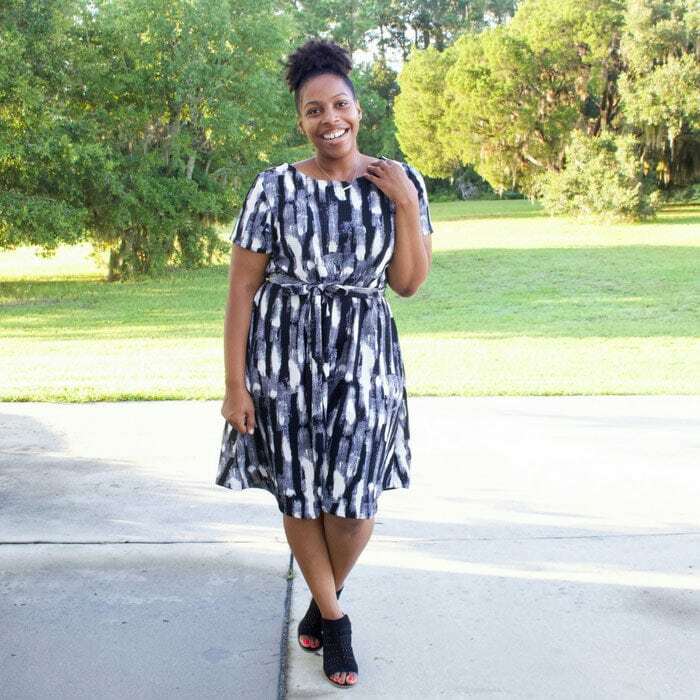 This dress is a favorite of mine for many reasons, mostly because it’s so comfortable and easy to wear every day, all day. Being a wife and mom of 4, having easy, versatile pieces are key in my wardrobe. 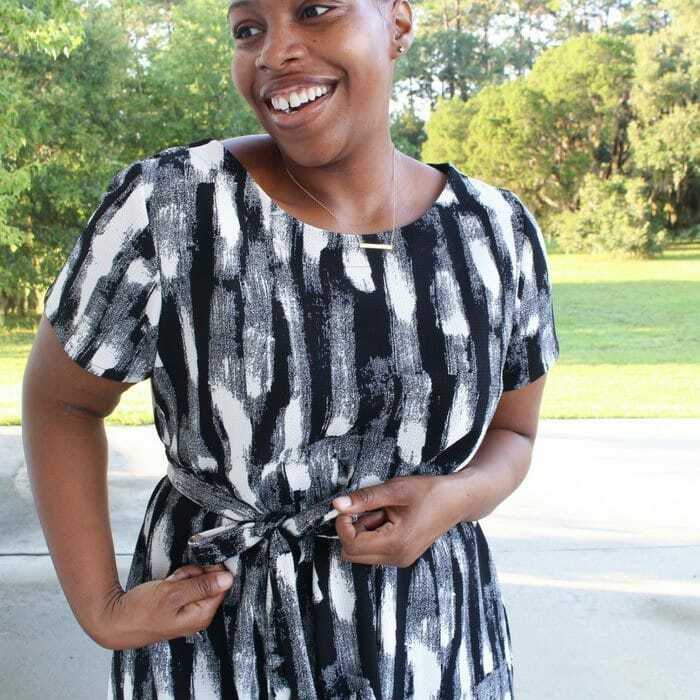 I love that I can wear this dress around the house with my slippers while I sew, throw on some sneakers and make quick run to the store, or pair it with a cute block heel for church. I made this dress using a Liverpool Knit. Liverpool is one of my favorite fabrics to work with. I love the weight of it and the texture it has. If you’ve never worked with it before, think ponte knit with a crepe texture. It’s sooo good. I cut the XL for this dress and made no adjustments to it. To take the dress up a notch, I made a simple tie-belt. I think it makes the dress even cuter. One of my favorite things about this pattern is the neckline. I decided to stitch the facing all the way down instead of just tacking it to shoulder seam, and I really like the way it turned out. I love everything about this dress. 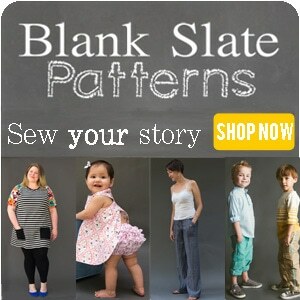 The fit is great, it’s super easy to sew, and it has many different styling options. I can definitely see myself making a couple more of these to add to my wardrobe! Hi Brittany, I loved your Shoreline Boatneck with the pearl embellishments! This dress is quite nice, too. I’m a fan of this pattern as well because it is so versatile; it’s next incarnation will be a crazy-patterned knit. Brittany, this dress looks great on you. 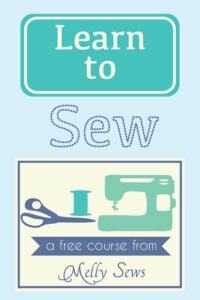 I also love this pattern and have made it into tops and dresses in wovens and knits. It goes together easily and fits my design criteria of comfort, style, and modesty. 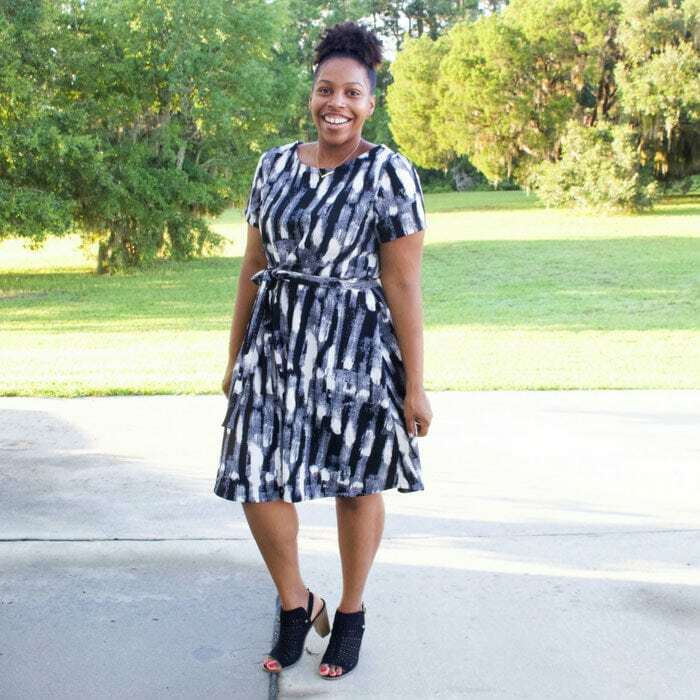 I appreciate how this post shows your outfit going casual or dressy….another big plus of this pattern. Well done! Another winner, Brittany! Thanks for sharing! You’ve made a great looking dress. Thanks for the tip on Liverpool Knits. Lovely dress! I might have to make one! Love the belt. Very versatile! My fave is still your pearl top, but the variations for this dress are my second fave!! It is nice to know I’m not the only person that will wear a favorite garment around the house with slippers AND still wear it out and about!!! Your styling with the belt is fantastic! Did you line the belt with anything? Great job! This is such a beautiful dress! I love how you can style this up or down. So excited to make it!